Platform VmWare OpenStack/KVM KVM BareMetal AWS-AMI (AMI Share) AWS-Hosted (Hosted on AWS) 100 sessions AWS: We can share the FreeSBC AMI or host the FreeSBC instance on AWS for you. Number of sessions Number of concurrent calls : min 500, max 60,000. 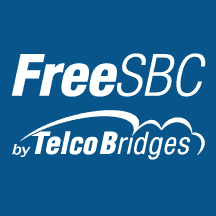 Telcobridges designs and manufactures carrier grade Session Border Controllers and VoIP media gateways.